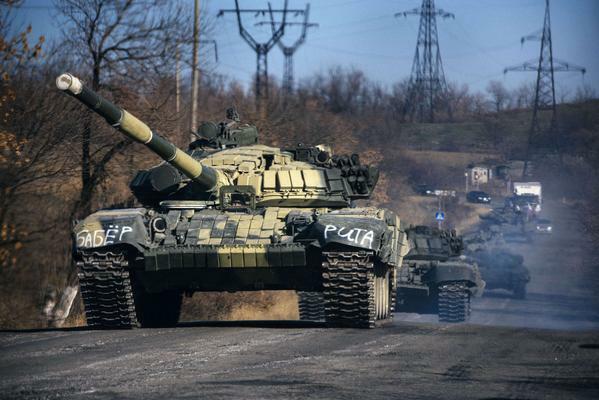 Ukrainian News company “Segodnya” at their twitter account yesterday posted photos of Russian tanks moving near Krasniy Luch city in Lugansk region. 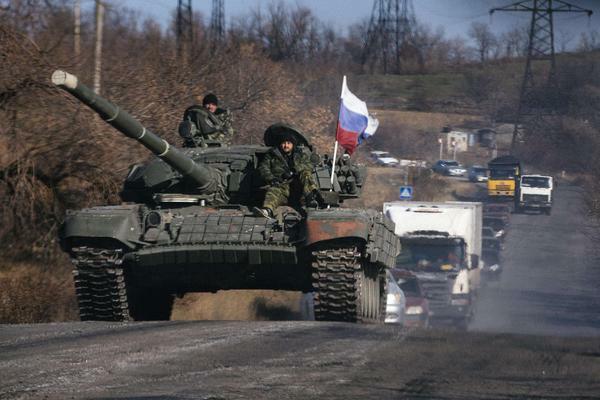 Tanks are moving under Russian Federation flags on the territory controlled by LPR (so-called Lugansk People Republic) pro-Russian terrorist group. 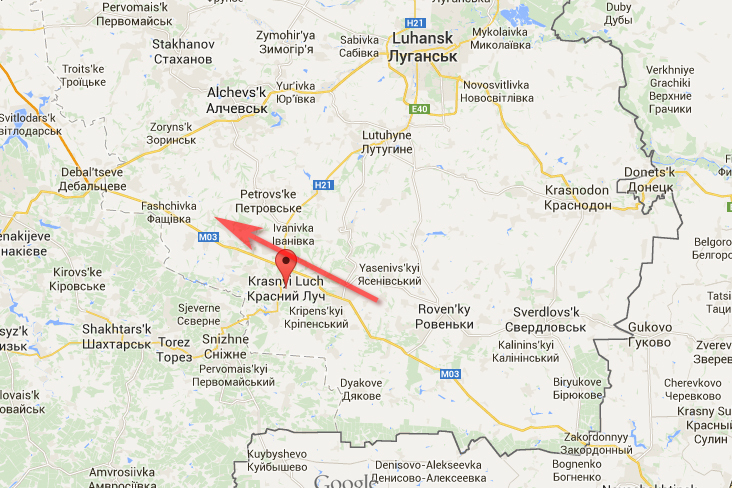 Some other witnesses also claim that that tank convoy was seen moving from Antratsyt via Krasniy Luch possibly to the direction of Debalsteve city. 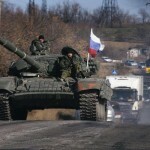 The total number of tanks in the convoy was 38, but some other witnesses only saw convoy with 10 armored vehicles with 3 tanks. Debalsteve is important strategic location controlled by Ukrainian Army, terrorists need that point to get access to railroad connection. 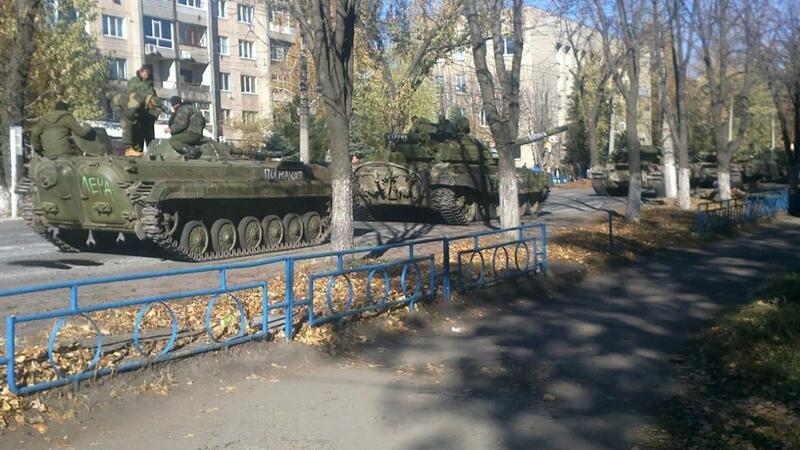 Today, a user from Antratsyt has also posted a photo of Russian tank convoy that got lost in the city and parked on Petrovskogo street near tax office.